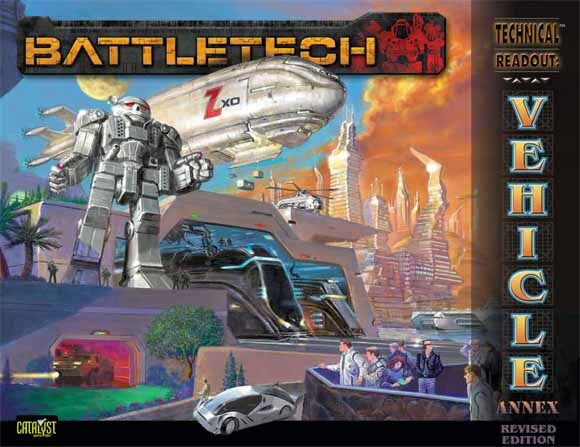 Built using the construction rules in TechManual and Tactical Operations, BattleTech Technical Readout: Vehicle Annex provides a never-before-seen look at the support vehicles behind the militaries of every faction, as well as a slice of daily life in the BattleTech® universe. This revised edition has been updated with an overview of the Jihad and Republic era, up to 3084, covering its effects on support vehicle production and various efforts to use them as weapons of war. For as long as there have been wars, mankind has been on a quest for ever more efficient means to kill. Yet even as the technologies improve, there are always missteps, unexpected—and, sometimes, unexplained—flaws in engineering that can transform a promising new weapon into a setback costing billions of credits, years of progress, and perhaps even a few lives. Experimental Tech Readout: Boondoggles samples some of the most infamous failures in military experiments made by the Inner Sphere and Clan powers throughout history. Each design featured in this book demonstrates a disastrous (or merely abandoned) combination of prototype technology or engineering employed on BattleMechs, combat vehicles, and aerospace units from the Star League age to the Jihad era. 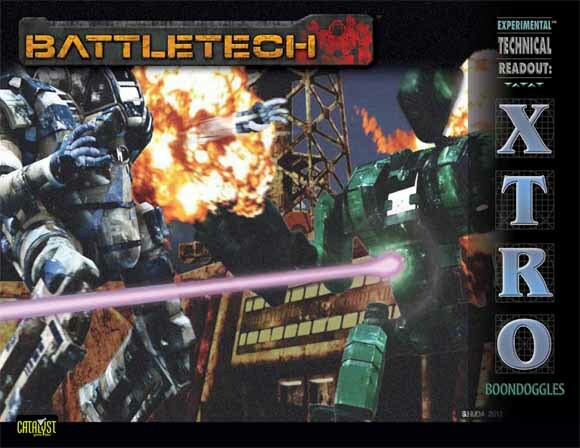 Statistics and (where useful) Record Sheets are included for 14 BattleMechs, vehicles, and aerospace units presented in this book, ready to use (if possible) in advanced BattleTech games. Objectives: The Clans describes the state of the major factories, training centers, and command centers of the Clans in the wake of the events described in Jihad Hot Spots: Terra. Including detailed stats on every key system, this supplement also includes basic rules to help guide players in developing BattleTech scenarios focused on defending—or attacking—these critical sites. Objectives: The Clans is an excellent resource for running a campaign set among the Clans with Total Warfare and A Time of War: The BattleTech RPG. Since the coming of the Clans, the military, industrial, and command complexes of the Inner Sphere have raced against the invaders—and each other—to out-produce one another in battle-worthy manpower and materiel. Factories that were smashed in the Succession Wars were reborn and revitalized, churning out ever more cutting-edge equipment, while academies expanded their curricula and sent generations of fresh warriors into battle. At the pinnacle of the arms race, new wars erupted, first against the Clans, and then between the Great Houses and Periphery states of the Inner Sphere. In the fires of the Word of Blake Jihad, destruction reached a level not seen since the early Succession Wars…but the stricken realms persevered. Objectives: Periphery describes the state of the major factories, training centers, and command centers of the Periphery in the wake of the events described in Jihad Hot Spots: Terra. Including detailed stats on every key system, this supplement also includes basic rules to help guide players in developing BattleTech scenarios focused on defending—or attacking—these critical sites. Objectives: Periphery is an excellent resource for running a campaign set among the Periphery with Total Warfare and A Time of War: The BattleTech RPG. Running a merc unit is a serious business first, last and always. Not just any group of gung-ho ‘Mech jocks can survive in the cutthroat world of the mercenary, and any MechWarrior who ignores this fact ends up working for someone else, dispossessed, or dead. Running a successful merc unit takes know-how, skill, careful planning, and sometimes a little luck. If you still think you’ve got what it takes to pit your skills against the fiercest warriors of the Inner Sphere and beyond, The Mercenary’s Handbook: 3055 is for you. The handbook provides a comprehensive, detailed system for creating, maintaining, and operating a mercenary unit in the BattleTech universe, covering every aspect of the mercenary life from combat to salary to medical care.